Themistoclea | Take Back Halloween! The Greeks considered Pythagoras the “father of philosophy.” He taught a system of natural science, mathematics, and ethics that profoundly influenced the Western canon. Ah, but who taught Pythagoras? A woman: Themistoclea. It is a curious fact that while the Greeks were hailing Pythagoras as the “father of philosophy,” they also recorded that he’d learned most of what he knew from Themistoclea, a priestess at Delphi. Well, maybe curious isn’t the word. But back to Themistoclea. All we know is her name, her occupation (priestess at Delphi), and the approximate time she lived (6th century BCE). Presumably she was the Pythia: the Delphic priestess who was responsible for delivering the all-important oracles, possibly while in a shamanistic trance. 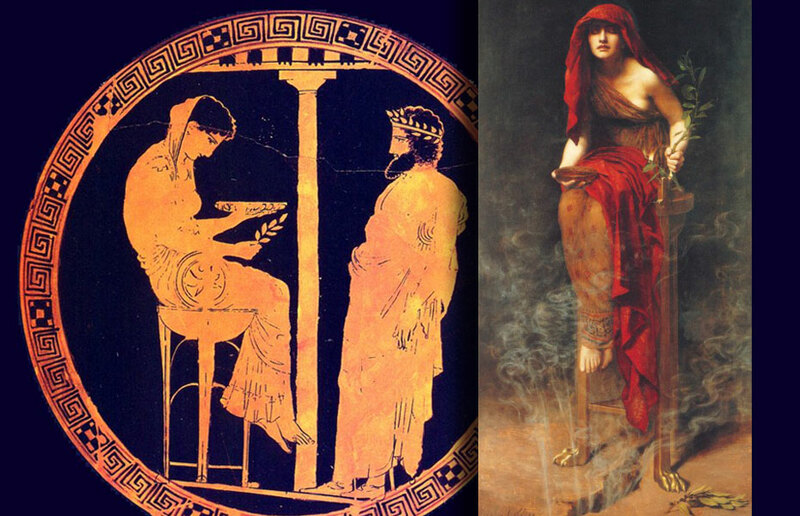 The Greek vase painting above shows the Pythia seated on her bronze tripod, ready to deliver an oracle to the man who stands before her. The 19th century painting by John Collier is based on that vase, and on several details known from ancient Greek authors. He shows the fissure in the earth from which some sort of gas was said to escape, possibly helping to induce the Pythia’s trance state (though it didn’t affect anybody else); and he shows clearly the laurel leaves and bowl of water she held in her hands. It’s a great painting, though we’re not sure about that bare shoulder. As you’ll see below, the chiton was typically fastened on both shoulders. 1. 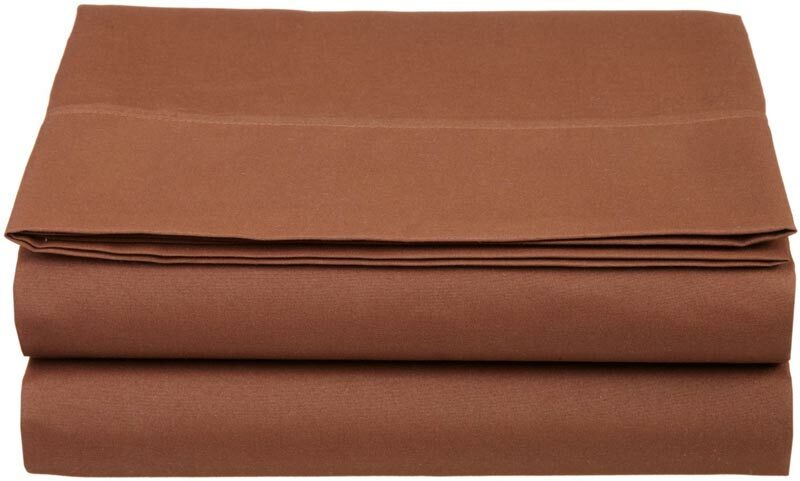 Flat sheet in chocolate brown . This is for your tunic; we give you instructions below on how to pin it together. The size sheet depends on your height, but a full-size works for most people. 2. Gold-bordered red veil. This is to drape over your head while you inhale or meditate or whatever. 3. 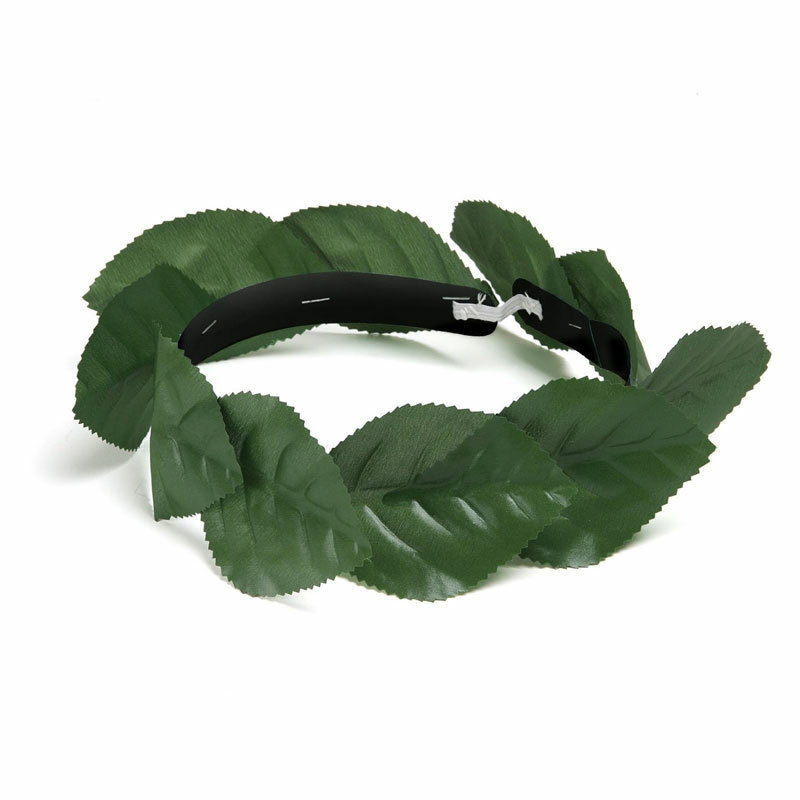 Laurel wreath . Though it’s not visible in the paintings, the Greek authors say that the Pythia wore a wreath of laurel in her hair. Her hair, by the way, hung loose. 4. 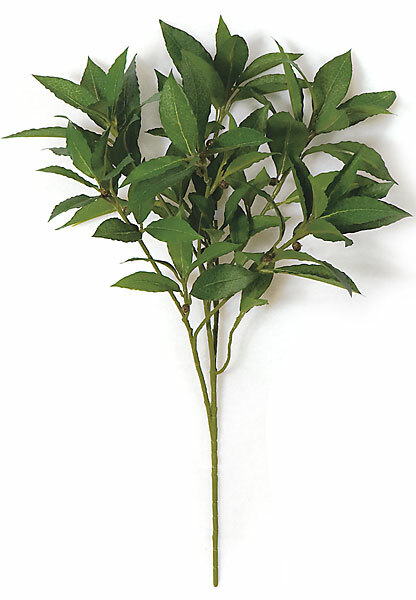 Artificial laurel branch. This is to carry with you and wave around while you deliver oracles. 5. Copper offering bowl . If you’re going to set up a serious oracle shop during Halloween, you’ll also want a bowl of water to gaze into while you concentrate/descry messages from Apollo. 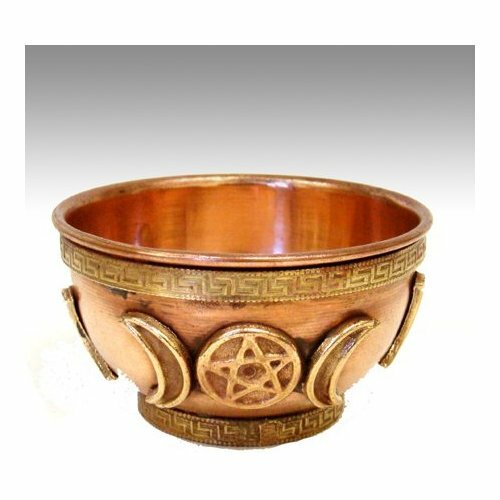 This little copper bowl is absolutely perfect—it’s even inscribed with pentagrams, which the followers of Pythagoras would go on to use as a symbol of their beliefs. Shoes: Simple leather sandals for going out and about, but barefoot is best for delivering oracles.